I had flashbacks to the blue Koppie Foam Grasshopper of South Africa when I ran into this 5-inch, red and green flying grasshopper in La Guajira, the desert region at the northern edge of Colombia. 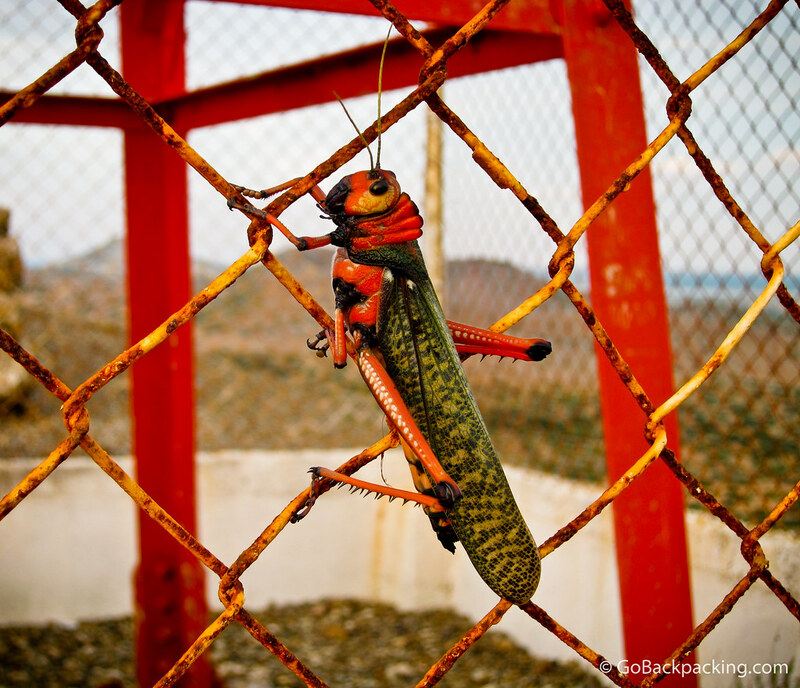 A giant 5-inch red and green grasshopper in Cabo de la Vela, on La Guajira peninsula in Colombia. Great photo, the grasshopper is really matching the color of the fence! Thanks Sofia, I like the way his (or her) colors match the rusty fence too. We were up on a bluff looking out over the water, watching the sun go down, and these crazy things started swooping around us. People were running all over the place. Beautiful photo Dave! I’m really impressed. I like the attention to detail. Sure Cabo de la Vela has stunning landscapes but it’s been done before. A grasshopper on a fence in Cabo de la Vela = Origional in my book. Keep up the good work! Thanks Kevin, these were truly some monster size grasshoppers! I have not seen such kind of grasshopper here in the Philippines…Really amazing!